Nothing can replace bicycle tours. From this perspective you can see more, stop in each place and admire. 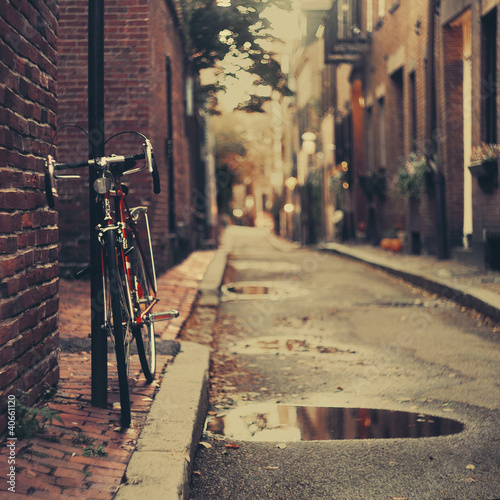 Riding through streets of Boston, one can fall in love with specific style, class or even chaos. Let a photo wallpaper with an interesting street of the Boston decorate your room and create a touch of nostalgic atmosphere.